©2014 Marcelo Gleiser (P)2014 Audible Inc. This author has done it again. 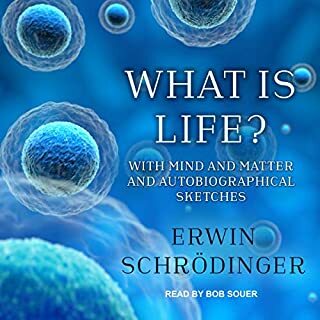 I read books in order to find out about our universe and our place in it, and this book does better than any other book since his last book "A Tear at the Edge of Creation". I have no idea why his books do not become instant classics and aren't more widely read. He really relates well to my way of thinking and leaves no stone untold while telling his story. And what a story he tells with this book! Yes, we are in Plato's Cave, but we do manage to get out from time to time. It is our ignorance that leads us to knowledge. It is the things we don't know that leads to our further understanding. Our very foundations of reality are based on the constructs that we use to explain the patterns we see in data. Particles are made of matter (electrons, quarks,..) and forces. Fields describes these forces and matter and their interactions. The definition of the field is not precise but we continue to use it in our explanations. The author covers all of the physics that's exciting to me. The Greeks lay the foundations by using intuition and argumentation but never quite adding the empirical. It becomes the void verse matter, the being verse becoming which leads to matter verse energy. Before Einstein, matter needed matter to travel through giving us the aether. The aether makes sense until it's not needed. The Morley Michelson experiments were at first explained by the natural compression of space as objects flow through the aether. The narrative's we use change as our understanding improve and our scientific definitions expand. There is large problem with the understanding of physics. The measurement problem, the dual nature of light (wave and particle), double slit experiments, that darn dead and alive cat, and how does "spooky action at a distance" (now known as real and called Entanglement) fit into our narratives. Einstein thought reality had to be understandable and that nature at the most fundamental level had to make sense and it must be our operational levels that were failing us. David Bohm and Einstein thought there must be hidden variables to explain the cosmic complexity at the quantum level. At the local level,they have been shown to be wrong. This book covers all of the controversies associated with the Copenhagen Interruption, and how the act of measuring does change the system being measured. At the heart of understanding nature with the current narratives we have in place there are mysteries that can't be resolved. The more we find out we don't know, the better stories we can end up telling. Our nexus of knowledge doesn't lie outside of us, it lies within us. We our the ones who determine how we understand and when a light flickers in our cave we find another way to describe what we see. He's got a nice section on mathematics, Godol's theorem and Turing's universal machine and the Halting Problem. Plato with his cave says math is always discovered not invented. The author will explain why it's best to think of it as being invented not discovered. The incompleteness, lack of coherence as proof for a system, and the problem of the self realization for a finite solution ('Halting Problem') leads to a better understanding of math. By the way, the author does point out for my hero, Mr. Spock, with his logical consistency and understanding will really never be attainable. This is a book that just keeps on giving. He'll tell the reader about Higgs Bosons, Dark Matter, Dark Energy , expanding universes, what advanced AI can mean for us and a host of other just as interesting things. 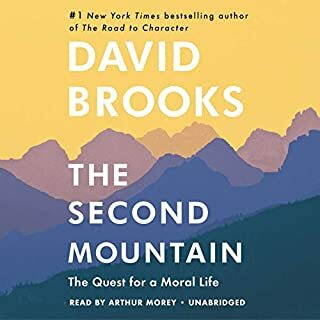 Needless to say, I would strongly recommend this book and his other book available on Audible ("A Tear at the Edge of Creation"). 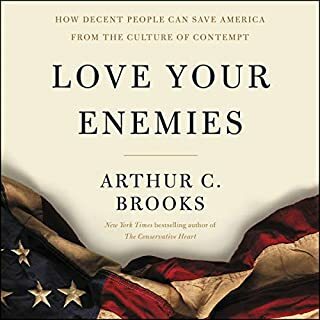 Regretfully, this author's books seem to be ignored by the public at large, but if I can convince just one more person to read this book, I would have made the world just a little bit better! Let me stress that the problem is not with the writing. The problem is with me. No matter how much I want to be, I’m not a theoretical astrophysicist and I don’t understand quantum mechanics. Now, the portions of the book that I could comprehend were outstanding. 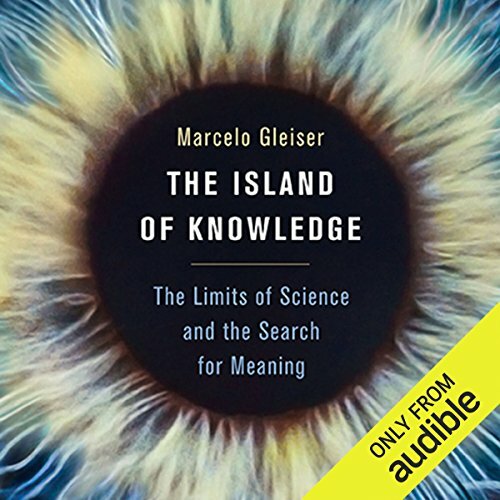 Gleiser takes the listener through the history of science from the ancient philosophers through the alchemists to the modern scientists working on cutting edge quantum physics. William Neenan reads the material with confidence. I have nothing negative to say about his narration. I would happily listen to more books read by him. I know this isn’t much of a review, but that’s all I got. For more disappointment look at unhelpfulreviews dot com. Incredibly beautiful! A must read! I know I am reading a truly great book when I finish a chapter and am compelled to go back to the beginning of the chapter and read every word again, not because it was too complex or the author lost me, but rather because the information was so necessary, so compact, and so important that it deserved another pass. I reread almost every chapter of this book, at least once. I cannot understand any review that doesn't give this book 5 full stars. It was amazing. So many books provide a history of how we came to know what we know about the universe. The history in this book was rich, unique, extremely important, and simply exquisitely written. I have not enjoyed a history this much since reading Swerve. There were times I wanted Greenblatt to go into more detail (or be more clear) about the ideas and lives of Epicurus and Lucretius. What Greenblatt left out, Gleiser provided, and it was amazing. Gleiser artfully took the reader through one of the best histories ever written in order to help the reader understand our most current picture of the strange and complex universe (multiverse). He built a bridge between the past and present that was incredible for the reader to traverse. It is a rare skill indeed to be able to choose not only the wide scope of space, the universe and multiverse itself, but to put into the contexts of both ancient and modern time. Tomas Kuhn did for the 1960s, when he helped the public understand how scientific ideas undergo paradigm shifts. I read this book at the same time I read Mathematical Universe by Tegmark. Reading both together was an amazing experience. I have read so many physics books lately. Many of them deserve 5 stars because the information contained within them is worth the 5 stars. However, when I am lucky enough to read a book that is extremely relatable, entertaining, informative, and addictive (one that makes you almost want to cry when it ends because you feel a loss), I often wish there was an extra half star that I could give it. This is that kind of book. I loved it! I deeply enjoy science books written by individuals with high IQ's and small egos. Marcelo Gleiser fits this description perfectly. It takes a unique scientist to speak to the potential limits of humanities search for knowledge. Marcelo Gleiser believes an A.I. singularity predicted by Ray Kurzweil is a myth of science that will be stranded on “The Island of Knowledge”. His point is that the nature of science, human cognition, and quantum physics make computers incapable of superseding or equaling human intelligence. The horizon of the unknown will always be present for human beings, even with computational advances. Gleiser implies that the computer will only be a tool of humankind to explore the unknown. Gleiser is saying pursuit of nature’s truth is important but precise truth is unattainable. 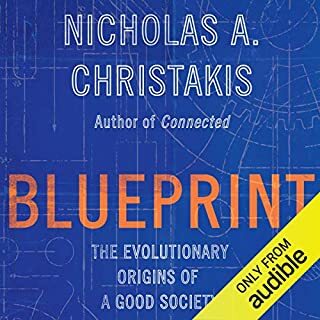 He argues that a final truth will never be found because discoveries of science will only lead to more questions, more experiments, and better tools of measurement. Nature’s truth will always be beyond human understanding; i.e. at best, nature’s truth will only be shadows of reality with sharper outlines. Gleiser is quick to point out that this conclusion is not meant to discourage scientific exploration. He believes human beings have an innate desire to understand nature. The life of humans suggests pursuit of nature’s essence is true of all cultures because of a common desire for money, power, and prestige; i.e. motivations that are magnified by scientific discovery. Largely this is yet another brief history of physical science. At this, it better than some, but far from the best in that genre. The book also talks about the The Limits of Science which is where I found it quite disheartening. This author is far from alone in seeing limits to scientific knowledge. The author says, "All we see are projections on the cave wall. Plato dreamt of a cave with an exit to the light of perfect knowledge, but it seems wise to accept that no knowledge can be perfect or final." Wise? It seems to me it would be wise to try to break our chains, turn around, and see reality. The author seems to believe that our chains are somehow unbreakable. "We don't know how to obtain a deterministic description of the quantum world. These unknowns are not simply a reflection of our current state of ignorance or of our limited tools of exploration. They express Nature's very essence," This may be true, but there is absolutely zero evidence this is the case (See Bell's comments on de Broglie–Bohm theory). Without evidence Einstein did not believe this c&@p and neither do I. The author claims all measurements have fundamental limits. This is a misunderstanding of the process of measurement. All measurements have three phases. Counting things, comparing counts, mapping to units. Sometimes these counts are off, but this is due to environmental interference/detector inefficiency etc. The fundamental limits of measurements only appear when attempting to map counts to multiple, overlapping, continuum (like position AND momentum). Imagine learning the rules of chess only by watching games. At first you would have many wrong theories of the rules, but after watching many games, you would have good theories for most of the rules, but some rules that come up very rarely (pawn becoming knight or 50 moves causing stalemate) would be big surprises. Nevertheless your theories would approach the actual rules and eventually your theories would completely model the actual rules (but you could never be certain there is not another rule for which you have never seen an example). During this process you may feel you have a small island of knowledge in a sea of unknown, but with finite rules, this is a passing phase. Certainly if you only get to see a small part of the board, and if the rules seem more complex than chess, you might be on this small island of knowledge for quite some time, but even then, it will be a passing phase. The author seems to think that it would be better to never learn all the rules, instead desiring the pleasure of always learning. Notice this simple chess example has many features we see in quantum theory. If you can't see the whole board, some local situations may seem to have random outcomes, because they depend of the strategy involving every piece (include those out of your view = non-locality). If a queen can take two different pawns you will be unable to predict which pawn will be taken unless you know all the rules, the strategy, and the position of every piece ( superposition of states),. This is not spooky. Basically this is what de Broglie–Bohm theory proposes. This author very briefly discusses, and discards, de Broglie–Bohm theory without discussing why John Bell felt it was critical physicists understand it deeply. Bell did not think de Broglie–Bohm theory is a good theory (it is not) it is just very important theory in understanding the nature of the limits of our knowledge. The author states that experiments have "discovered" that randomness is an inherent aspect of nature. This is simply not true. It has been found that if causality is inherent then non-locality is also inherent. Randomness might be inherent (Bohr), or apparent randomness may result from our lack of knowledge of non-local effects (Bohm). The author says "To me, the real downer is to presume that there is an end to the search and that we will eventually get there." I disagree. I want to learn all the rules as quickly as possible, then begin playing the actual game. Never learning all the rules would be the real downer (and desiring this option seems a bit crazy to me). There are indeed fundamental limitations upon observer knowledge in our universe. This is not because the unknown is infinite, but because observers have fundamentally limited resources (bits) in comparison with the vastness of the unknown (bits). Nevertheless, even with our limited bits, it may be possible to come to understand the incorrect assumptions we have been making, discard them, and eventually understand the underlying equation describing our universe. Science will not end when we learn all the rules. We are currently doing pre-release Science, Real Science 1.0 can't begin until we know the rules of the universe, only then will real science begin. I lost count of the number of time the author insisted his Island of Knowledge was not a downer, not giving up, not defeat, not throwing in the towel, not surrender. Perhaps not. There is a VERY short PDF with four images that are mildly useful in understanding the Wheeler Delayed Choice Experiment described late in the book. It does not really help unless you already understand the subtle experiment. 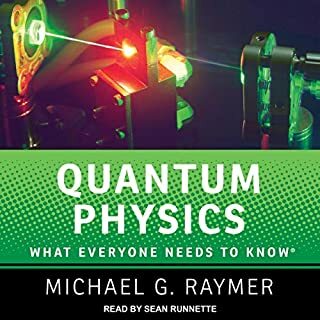 To do that check out delayed choice quantum erasers on Wikipedia before you get to chapter 25. 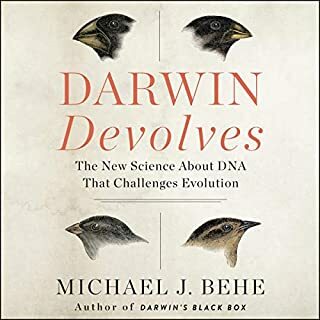 “Science, like religion, is fundamentally limited as a tool for understanding the world.” I think that was the line in the publisher’s description that got me to buy this book. I am glad I did. I love books like this. It started in college reading Karl Popper, and Coppleston’s “History of Philosophy.” I love it when scientists actually humble themselves enough to probe what it is they know and how they can know it. I find all too often today that what people often call science is nothing more than a religion, and they are dogmatic about what they believe citing scientific “evidence” that is not really evidence and findings that can be interpreted many different ways. The basic thesis of this book is that science only advances by showing where previous scientific theories were wrong. We can never know if we have the whole picture, but we can know that we don’t. We don’t have the whole picture, and new evidence may be out there that when discovered will throw everything we think we know now upside down. I’ve read plenty philosophical history and even history of science works. Marcelo is great when it comes to these topics. I especially like that he brought to light the dependence of Roman Catholic theology on Aristotelian thought, which was really behind the Galileo controversy. But when it comes to the history of religion, he falls a little short. He says that Martin Luther condemned Copernicus because he challenged Scholastic theology. There are numerous problems with this myth. 1. The citation is from “Table Talk” which is students recording Luther one-liners. Normally after copious amounts of beer which his wife was known for brewing. 2. He doesn’t condemn the man in question but calls him a fool. Copernicus is never mentioned by name. If I had first heard this theory in that day, I might greet it with skepticism too. So would you. But calling someone a fool is hardly a condemnation of the man. For all we know, Luther was being sarcastic. 3. Copernicus was actually first published in Wittenberg during Luther’s day, because of the efforts of Melanchthon who was Luther’s cohort. This would not have happened without Luther’s approval. 4. Luther hated scholastic theology. It represented everything wrong with the Roman Catholic theology of the day, in his estimation! One of his most famous works was “Against the Scholastics.” In fact, one might argue that rather than Copernicus’s break with Aristotelean thought being the reason for the supposed condemnation of Copernicus, it was the reason his book was first published in Wittenberg. This would not have happened without Luther’s blessing. He basically owned the press there. Coincidentally, this would also be why the pious king of Denmark, a staunch Lutheran, would have funded the studies of Tycho Brahe. We didn't finish it, but gave up after several chapters that were more a history of the philosophy of science, than an examinations of the "limits of science". A lot of waffle with soome poor intonation. Narrator was disconnected with the material for large parts. Too much fluff not enough stuff.